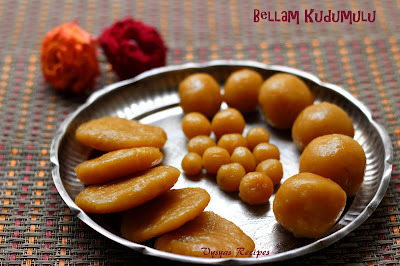 Bellam Kudumulu is an Authentic Andhra Recipe, made during Vinayaka Chavithi.It is made with Rice flour,jaggery,cardomom & freshly grated coconut cooked together to a thick dough & allowed to cool a little, & flattened into circular disc or roundels & steamed. Finally you get soft smooth kudumulu, with flavour of cardomom. It can also be had as an evening snack. Cardomom Powder - 1/4 tsp. 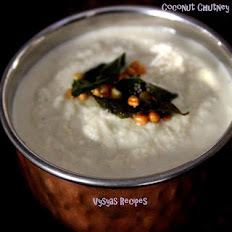 Coconut (Grated) - 1/4 cup. Heat the kadai, add Grated or Powdered Jaggery, melt it with 2 cups of water , till it completely dissolves & filter it to remove the impurities. 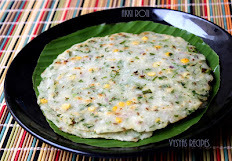 Bring the Melted jaggery to rolling boil, add Grated coconut, Cardomom Powder & Rice flour. 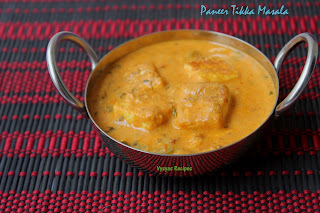 While adding Rice flour, add Rice flour in one hand, & stir in other hand to avoid lumps. Stir in medium low flame for 5 - 6 minutes, till it gets thick consistency. Finally add 1 tbsp of Ghee to the dough & give a quick Mix. you get the Soft shinning dough. 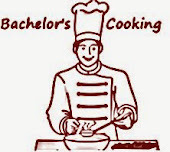 Switch off the stove & cover it, till it is warm & you can handle it. Then knead the dough well & Grease your hands with Ghee or oil, then take small lemon sized dough & flatten it into circular disc or you can shape into small or medium size balls as you desire. Steam cook it like we cook idli's for 10 - 12 minutes, on Medium High flame. Now Bellam kudumulu is Ready for Naivedhyam. Adding Cardomom gives nice flavour to kudumulu. Adding Ghee gives nice shining texture to the dough. After making the dough, cover it with the lid to avoid dryness. you can shape the kudumulu into balls or circular disc, as you desire. 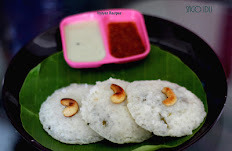 you can use idli cooker, or rice cooker or steamer to cook the kudumulu. Labels: festival recipes, kids snacks. This looks so beautiful and yummy! wow!! looks super yummy!! Perfectly made! !